We started our Saturday as we normally do in Bushy park on the park run and this week my time was 27:40 so not another PB but within a minute of my best time. After we had showered and changed we decided to head up town to see the Christmas lights and in celebration of the 20th anniversary since our first date back in Putney! 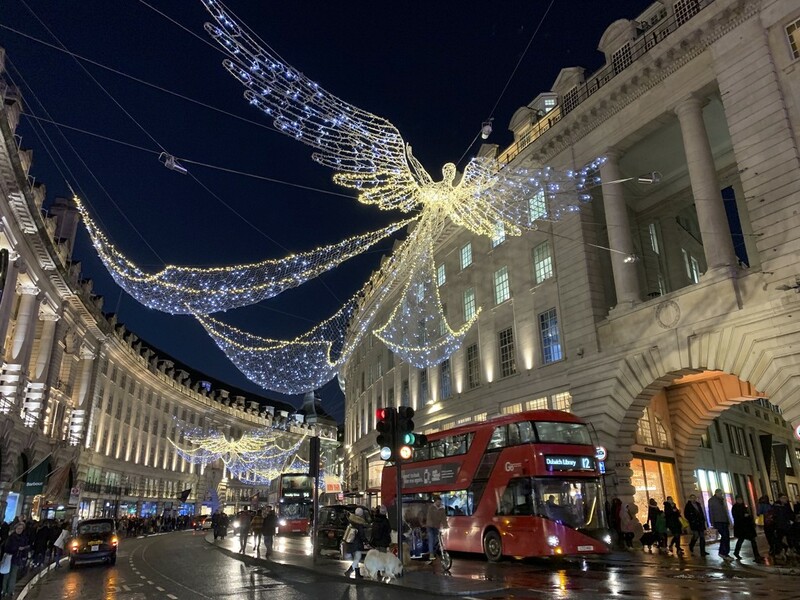 Unfortunately the weather took a turn for the worst and it rained most of the afternoon but this did not diminish how good the lights looked, especially in Regent Street and the wet road actually added to the image. We enjoyed a cream tea with our free vouchers in John Lewis in Oxford Street.